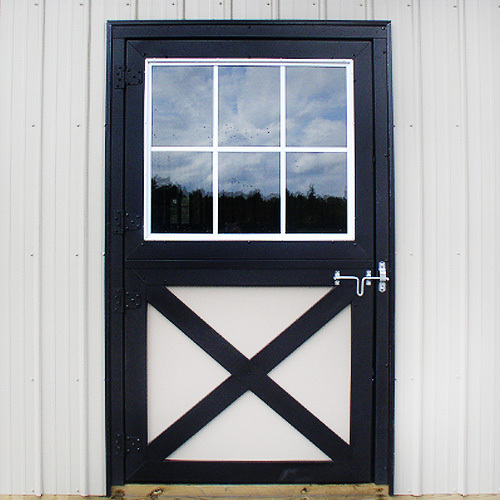 RAMM’s barn doors are built-to-order and come pre-assembled with an all-steel exterior. They are available as a single slider, split slider, or hinged. Choose from a variety of sizes and colors. 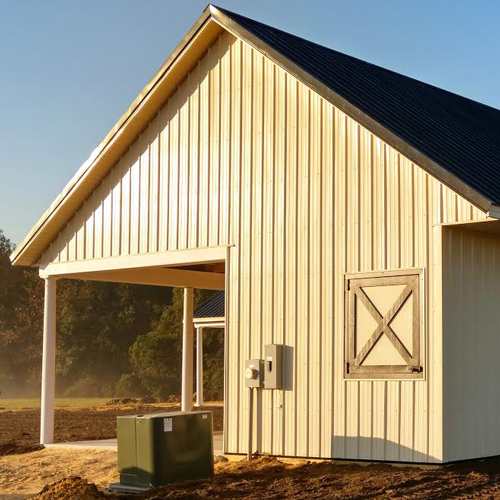 A durable and long-lasting addition to your barn. 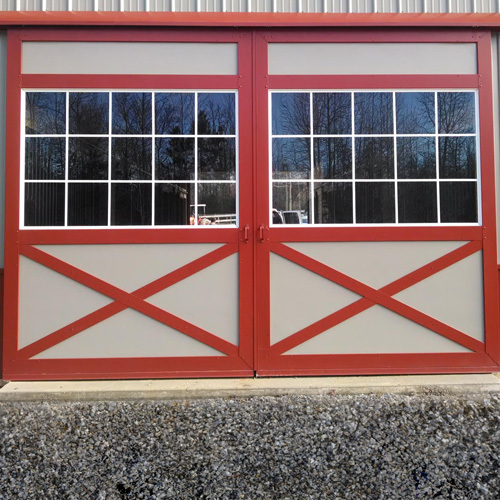 Our bale doors are available in two standard sizes and are available in many different powder-coat colors to match your existing barn or doors. They are made from a one-piece of galvanneal steel, laser-cut to design with no weld burrs. This 400-year-old barn door style (Dutch, Barn, and Bale Doors) is popular yet today, among barn owners, due to the charm it leads. 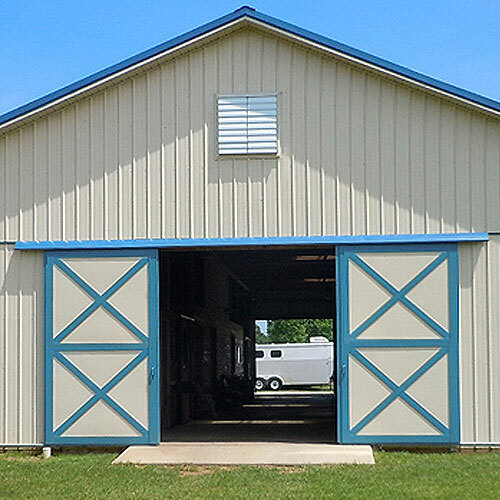 For practical reasons, the bottom door keeps the animals in or out of the barn as desired. 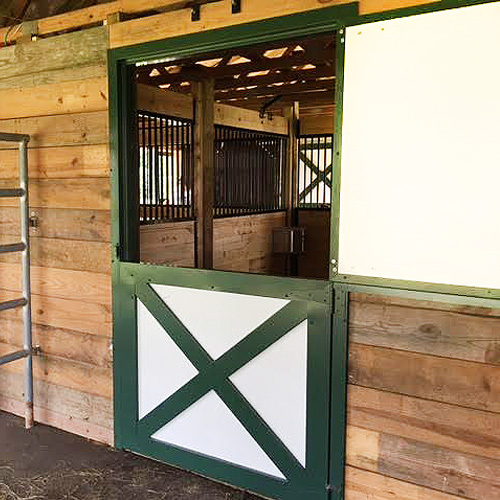 The top door allows for improved ventilation and socialization. Barn doors made of wood often warp due to temperature changes. But RAMM's steel frame door system resists warping and twisting allowing your door to open and close properly for many years. 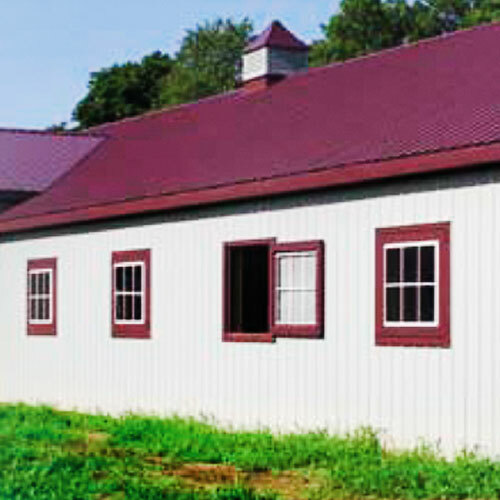 Add beauty and functionality to your barn! Custom sizes and designs are available upon request.